I got these super cool cats from Porkchopshow on Etsy. 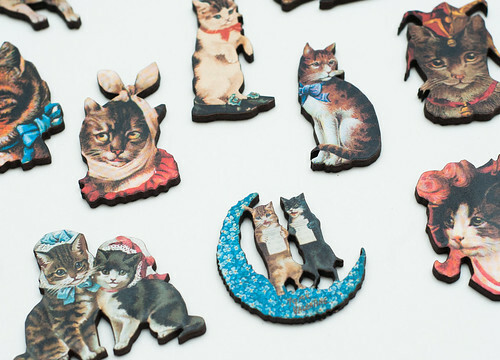 They are cute paper images adhered to wood and laser cut. I love them, some of them are so adorable! 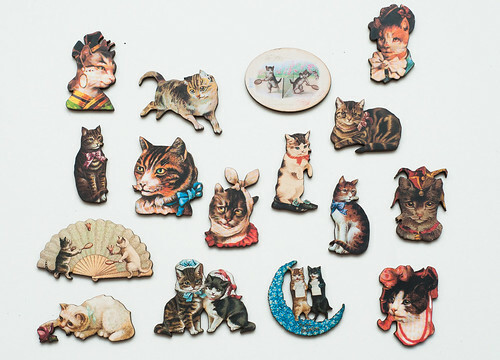 I’ve made some of them into brooches, I’m not sure what I’ll do with the rest but I’m sure I’ll find a use for them. 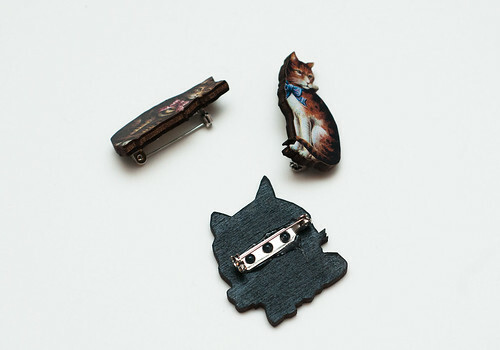 A hot glue gun and some brooch backs and they’re easily made into brooches. What would you make from them? 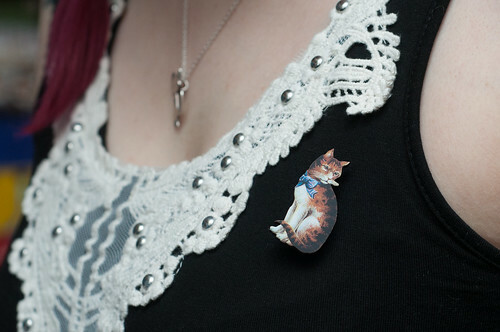 I’d definitely make brooches too! But I get that you wouldn’t do that with all of them. There are just too many to wear! Very ingenious and so beautiful, thank you for sharing this!